Inflammation is part of the body’s response to infection and tissue damage, and it is crucial to the healing process. It is the basic mechanism of your immune system, but conversely, when inflammation is chronic and uncontrolled it can lead to the development of arthritis, heart disease, stroke and diabetes. When your body is stuck in inflammatory response mode it is constantly trying to fight potentially harmful substances in the body, which severely taxes it, making the perfect environment for disease to take hold. So how can you prevent inflammation from taking over your body? All of the experts agree that diet is a major contributing factor. Avoid foods that contribute to inflammation including red meat and highly refined foods like white flour and sugar. 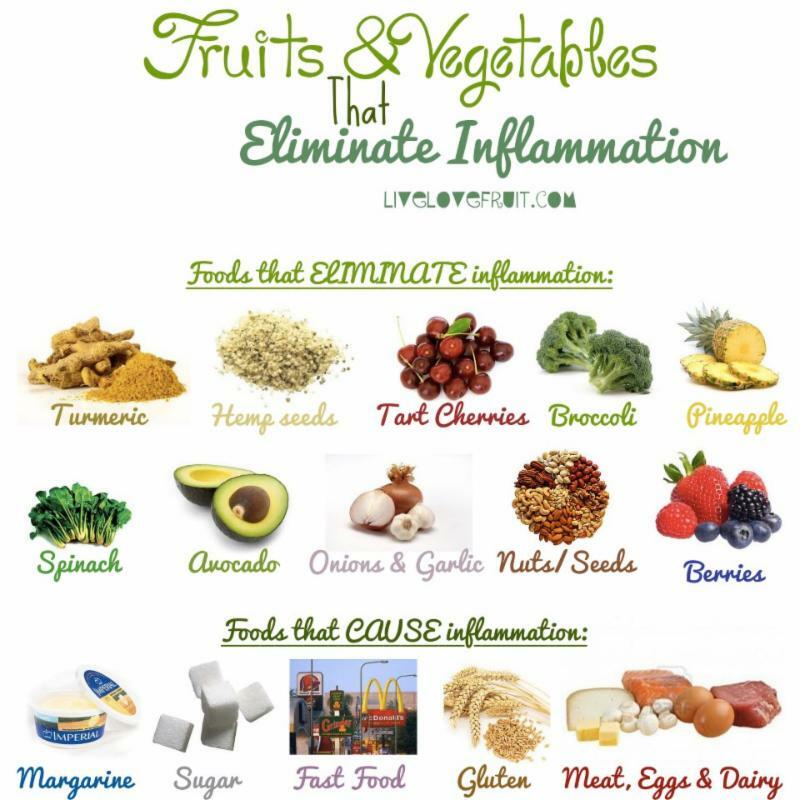 Eat as many anti-inflammatory foods as possible. These include ginger, garlic, fish, leafy greens, berries and even dark chocolate! With all of the benefits exercise has for our bodies there really is no excuse! The more sedentary you are, the worse it is for your health and the greater risk of chronic inflammation. According to the Canadian Physical Activity guidelines adults between 18-64 should accumulate at least 150 minutes of moderate to vigorous intensity aerobic physical activity per week. Along with chiropractic treatments, reducing your level of chronic inflammation can greatly improve your well-being! We look forward to helping you along your journey! Debusk, C. (2015, March 13). Fighting the Flame-how to rescue your patients from chronic inflammation. Chiropractic Economics, 35-38. Riccioni R, Bucciarelli T, D’Orazio N, et al. “Plasma Antioxidants and Asymptomatic Carotid Atherosclerotic Disease.” The Annals of Nutrition and Metabolism. 2008;53: 86-90.